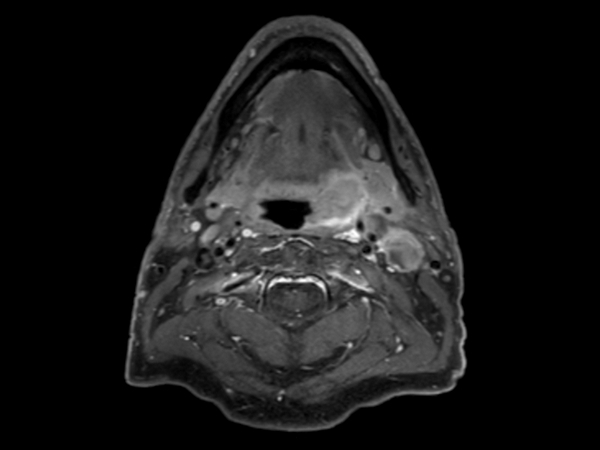 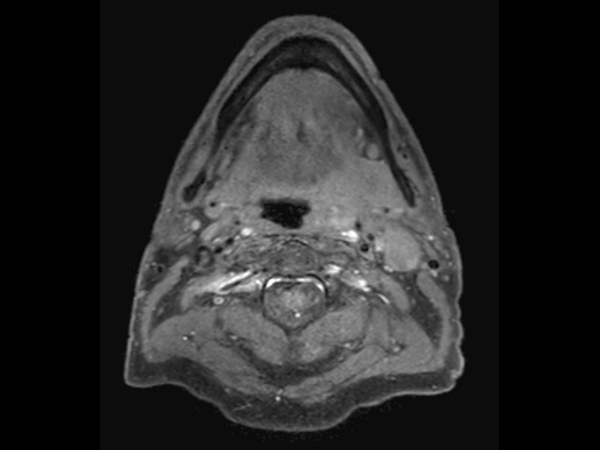 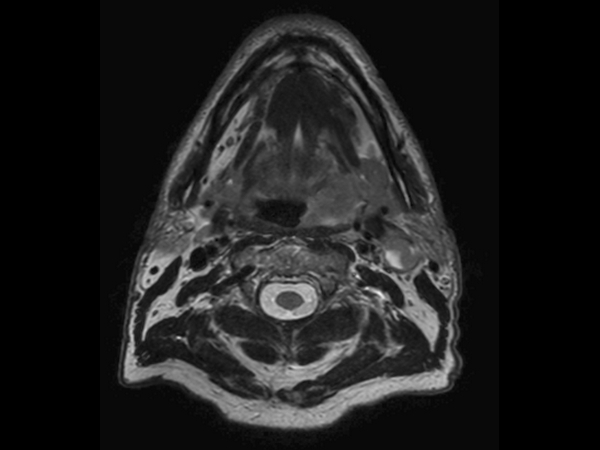 A 75-year-old male with oropharynx squamous cell carcinoma in the left tonsil region with extension into the soft palate, caudal border lower tonsil region, no midline crossing. 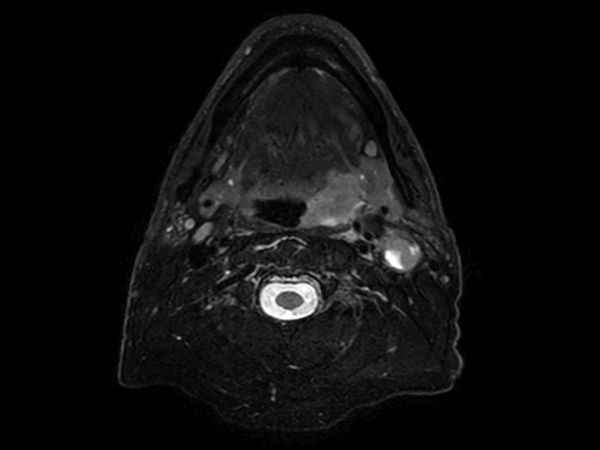 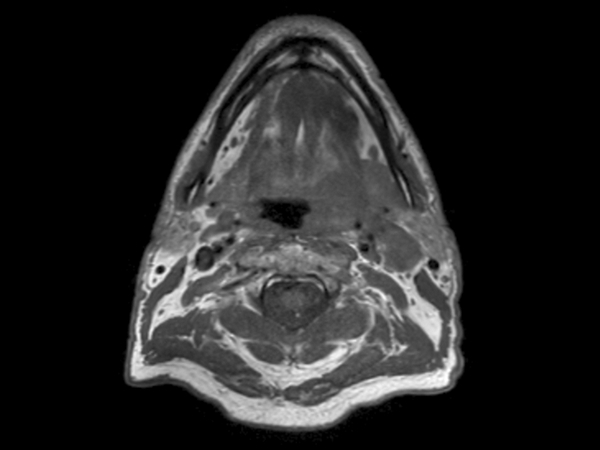 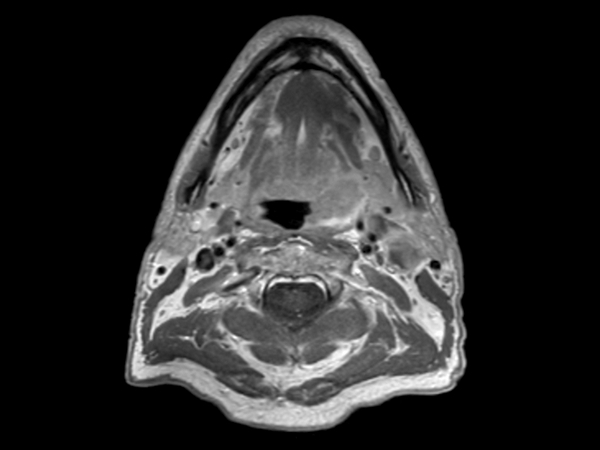 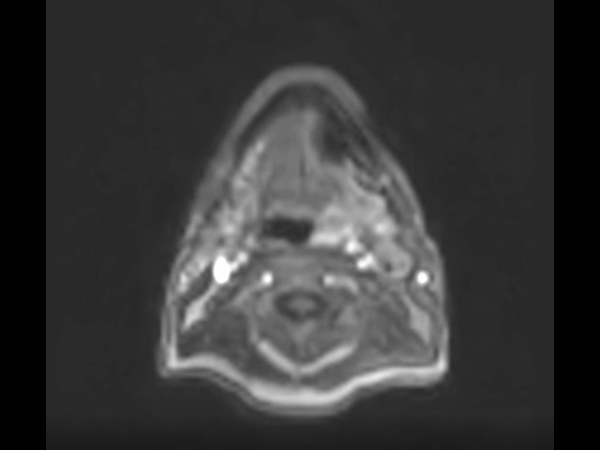 On the left side in the neck there are also three enlared lymph nodes on level 2 and 3 with central necrosis and signs of limited extracapsular extensionn, T2N2b. 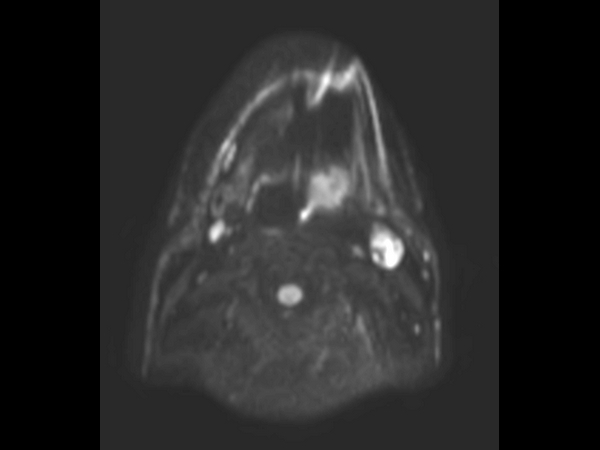 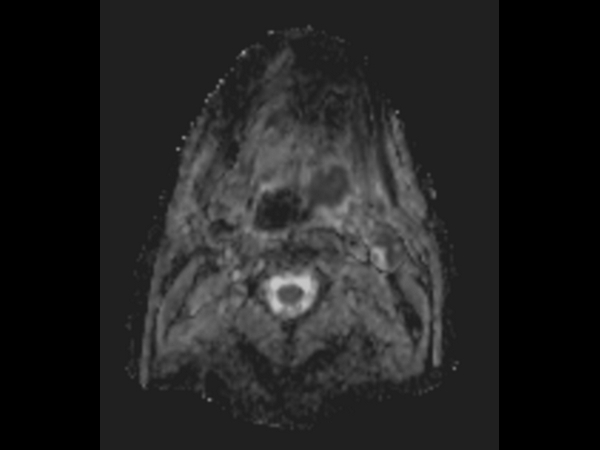 Patient underwent MRI simulation in the radiotherapy (5-point) positioning mask in Ingenia MR-RT 3.0T using the Flex coils in combination with integrated Posterior FlexCoverage coil.